The entire team joins me in welcoming you to the heart of Rouen, the city of 100 steeples, for leisure and business trips. We will make sure you experience the wealth of our city during your warm and friendly stay. Breakfast and WIFI are included in all prices at the ibis Styles Rouen Centre Cathedrale hotel. The hotel is ideally located at the heart of Rouen, just a stone's throw from the famous Notre Dame cathedral and the old town with its pedestrian streets. Enjoy this excellent location to discover the city of 100 steeples. Just one hour from Paris, this hotel is ideal for a weekend in the capital of Normandy. Hotel located 5 minutes from Rouen Cathedral. 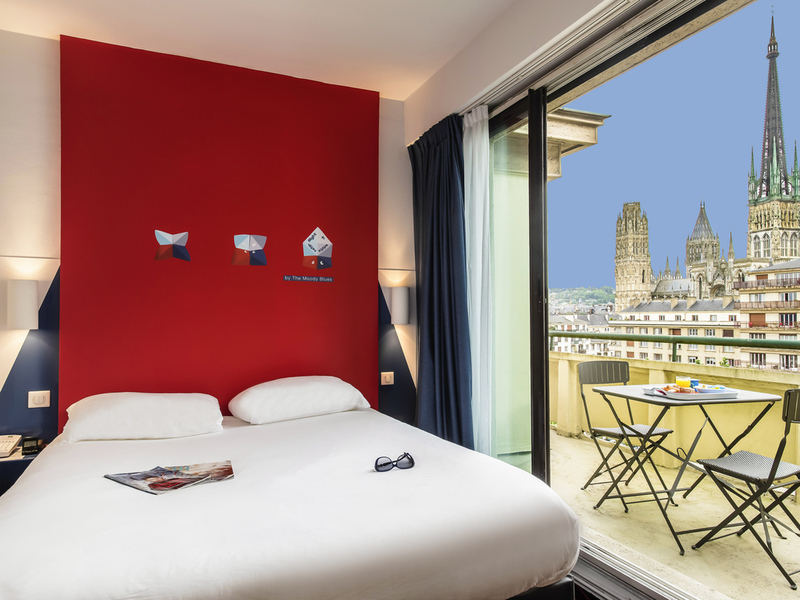 Rooms with a view of the River Seine or the cathedral. Rooms with balcony on request. Standard Room with 1 double bed and terrace.